This post is sponsored by Lipocore. Valentine’s Day is all about love, but it isn’t just for loving others: it’s for loving yourself too! On this day, treat your body like a temple and give yourself the TLC you deserve with Lipocore from FA Engineered Nutrition. FA Engineered Nutrition is spearheaded by one of the most influential women in the Sports Nutrition Industry, Liz Gaspari, and seasoned fitness professional and international bestselling author, James Villepigue. With their vision of sports health, their company works to provide the most effective products for any body. From cyclists to tennis players to MMA fighters, FA Engineered Nutrition’s products provide synergistic effects that bring amazing results to everyone. Lipocore is one of the best-selling fat burners on the market today, which works by increasing thermogenesis to ramp up the metabolism to melt away fat. This incredible supplement increases the heat in your body to help burn more calories and allows your body to tap into body fat for energy, saving valuable muscle glycogen for your working muscles. With Lipocore, you’ll give yourself a gift that keeps on giving long after the chocolates have been devoured and those flowers have wilted. This Valentine’s Day,CupidsPulse.com will be giving away one bottle of thermogenic supplements from Lipocore! To enter for a chance to win please email cupid@cupidspulse.com with your full name, address, email, and daytime phone number NO LATER THAN 10 p.m. EST today. 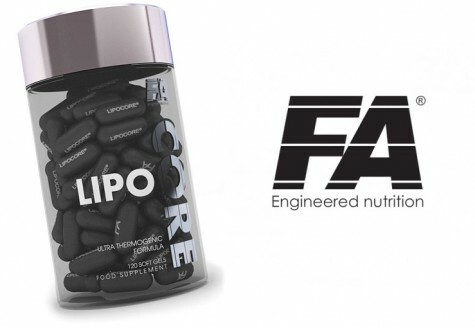 In the subject line, please write “Lipocore.” Winners will be contacted on Monday, February 17, 2014. You can enter each contest only once. Good luck!